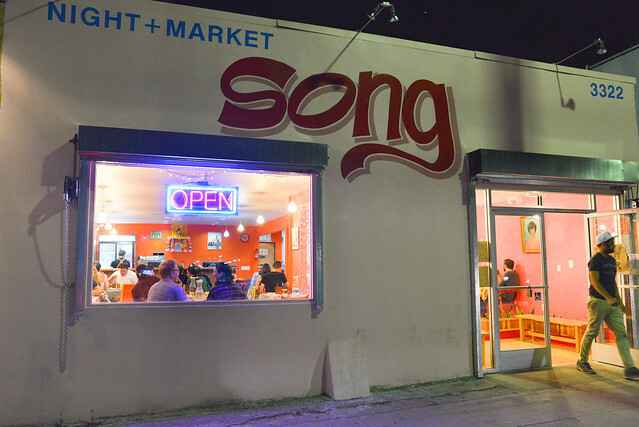 Night + Market has been a hit since opening in 2010. 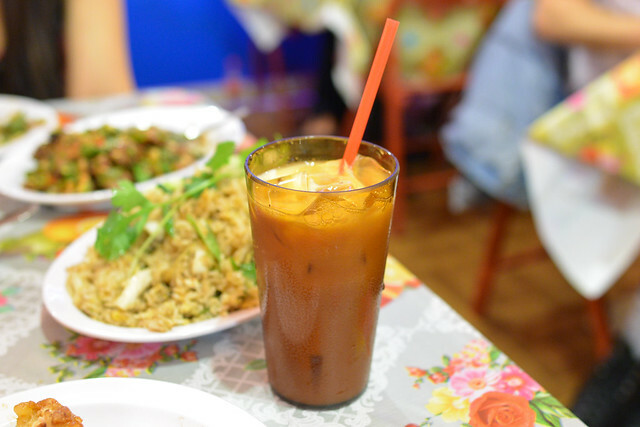 Popular for Kris Yenbamroong’s interpretation of Thai street food, it’s been consistently drawing nationwide attention for its bold, oft-spicy flavors and celebrity clientele. 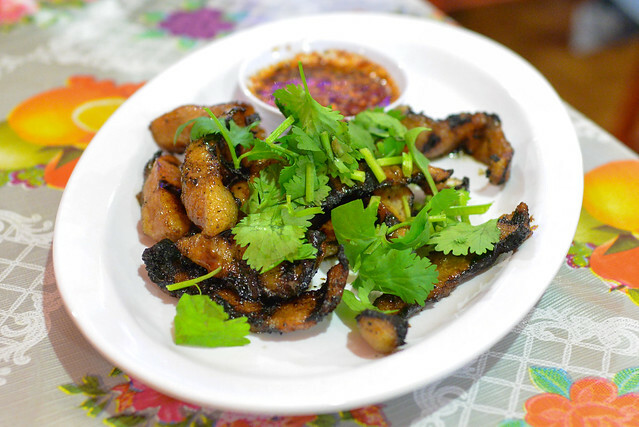 Its success has spawned an offshoot in Silver Lake; Yenbamroong realized many of his customers were driving from the Silver Lake area to the original West Hollywood location. With this more easterly location, it’s now within quick reach of downtown residents (like me!). Having enjoyed the original a few times (but hating the drive to WeHo), I was very excited to hear it was coming to Silver Lake. This location is currently serving an abbreviated menu without any alcohol (the license is in the works). Still, there are plenty of options on the menu to choose from. We dove into some old favorites and some new dishes. These wings were beautiful, served hot out of the fryer and glazed with a sweet-savory sauce. 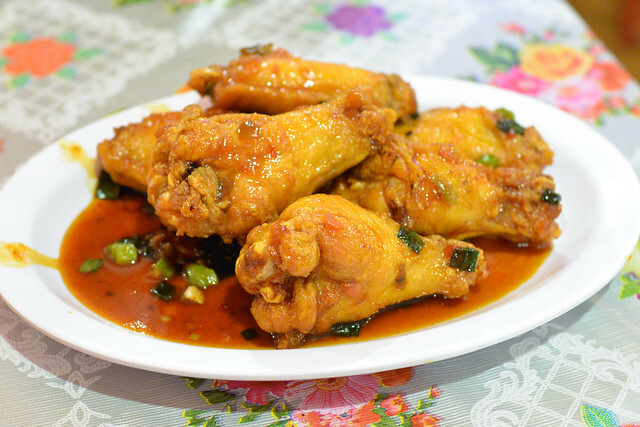 The sticky sauce was tasty with a good balance of acid and spice, pairing well with the juicy and moist wings. Really nice. The kitchen gifted us this dish, one that’s become notable since Night+Market began. Slices of pork collar had a crispy, smoky sear that complemented the fatty pork just right. The dipping sauce added some acid to balance. This sauce had a deep flavor and just enough minerality to remind that blood was in it. 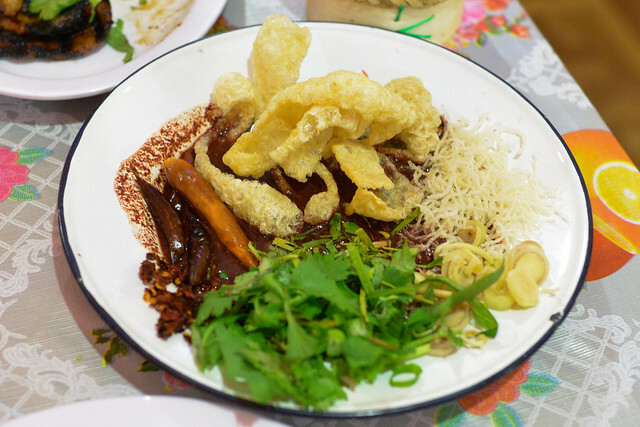 Fried pig skin brought the crunch to this dish, which definitely paired well with sticky rice. 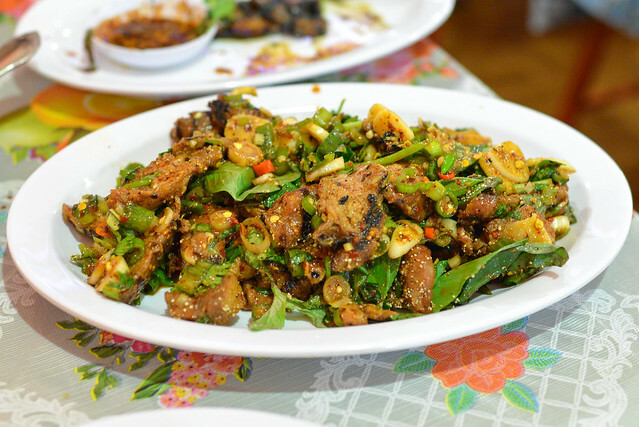 In this dish, a pile of pork was topped with a number of different accompanying flavors and textures. It was bright, fresh and meaty all at once…and damn spicy. More to cool my burning mouth than anything else. 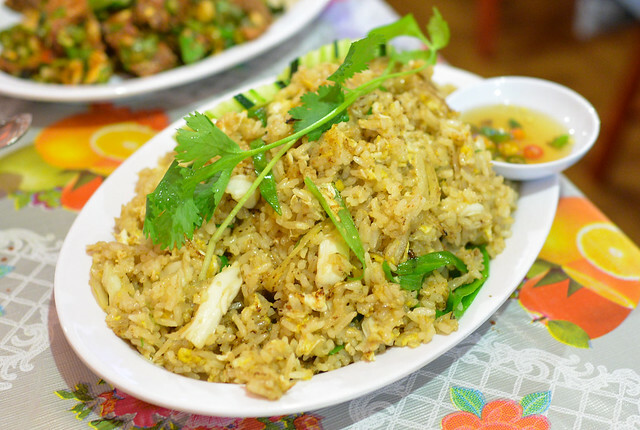 Chunks of mild-flavored crab were dispersed throughout this mound of fried rice. Definitely a subtler dish flavor-wise; I just wish this came earlier in the meal to help soak up some sauces and offset some of the preceding heat. 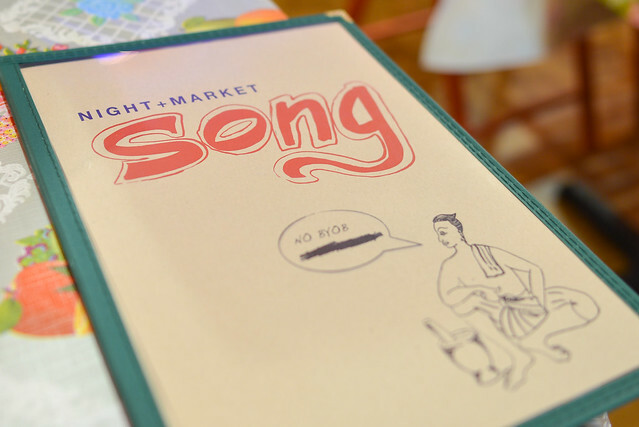 Night + Market Song was just what we asked for, essentially mirroring the original WeHo restaurant. Flavors were bold and the chilies hot making for a satisfying meal. I’m excited to continue to see this restaurant grow and evolve over time, and definitely anticipate stopping in more regularly thanks to its proximity to downtown.